Ice cream doesn’t get much posher than Viennetta does it? I’m pretty sure it’s the only dessert fancy people eat, right? I’d definitely eat it all the time if I was posh enough. And what’s posher than regular chocolate? Fruit flavoured chocolate, for sure. Strawberry, raspberry, orange, whack any of them together with some chocolate and you’ve got yourself a party on a pudding plate. 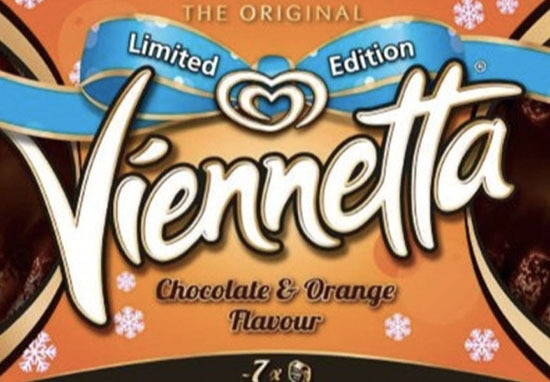 Well good news, as ASDA is now selling the very festive and very delicious chocolate orange Viennetta for just two pounds. Bargain. Christmas just got that bit better. However, the chocolate orange version is limited edition, so you better be quick. Then again, the regular vanilla version, as well as mint, are also available at prices you can’t argue with, so, y’know, swings and roundabouts. The Viennetta, a mouthwatering combination of chocolate and ice cream in a distinct, eye-catching design, was first created in 1982 by Wall’s in Gloucester, according to ASDA. The unique shape and sheets of smooth indulgence are created by layering ice cream and chocolate sauce together at different speeds on a continuous line. Viennetta is a must-have staple in your freezer which you will always find yourself wanting more, after all, one slice is never enough. If you haven’t tried it, what are you waiting for? So go on, try a Viennetta today and experience the delicious taste for yourself! Well you don’t need to tell me twice. These are limited edition, so who knows how long they’ll be available for?! If a whole Viennetta seems a bit much for you though, and you need something which comes in more manageable portions, but still with the same delicious swirly design, Iceland has you covered. Earlier this year they started selling their Mini Vienna ice creams, basically Vienetta on a stick, which are not only delicious and posh and fruity, but also a complete bargain. 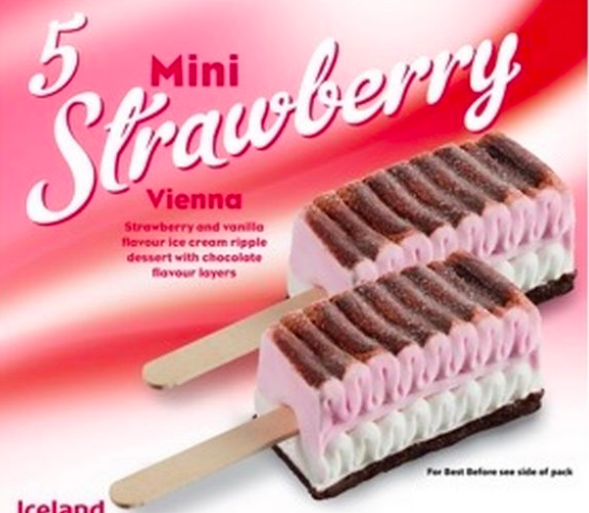 For £1.50 you can pick up a pack of four strawberry or original vanilla flavoured Mini Vienna ice creams from either their website or your local store. If you’re not up for these Mini Vienna’s though, why not hop over the border to Switzerland and pick yourself up some white chocolate Toblerone ice cream? We all know the white chocolate version of the famous Swiss chocolate is near perfection, but throwing ice cream into the mix? That’s the type of crazy, foody forward-thinking I like to see. With nougat and honey ice cream encased in white chocolate – and little added chunks of nougat – the melt-in-your-mouth goodness is shaped into a Toblerone triangle, to make sure there’s no mistaking who gifted us with this delight. The classic, milk chocolate version is also available. The triangular chocolate came under fire recently for redesigning its iconic shape, with many comparing the new look to a bike rack. Good news for bike-rack-hating chocolate lovers though, as earlier this year, the brand announced it was reverting back to original design, as BBC reports. Search Results For "mini vienna"